Will Samsung’s much-awaited foldable smartphone be called the Galaxy Fold? That’s what a new trademark registration suggests. Samsung has said that it will release this device next year but not revealed what it will be called. Previous reports claim that it may be called the Galaxy Flex. Some of you will agree, though, that Galaxy Fold is a more suitable name for a device that folds more than it flexes. The trademark was filed just a couple of days ago. 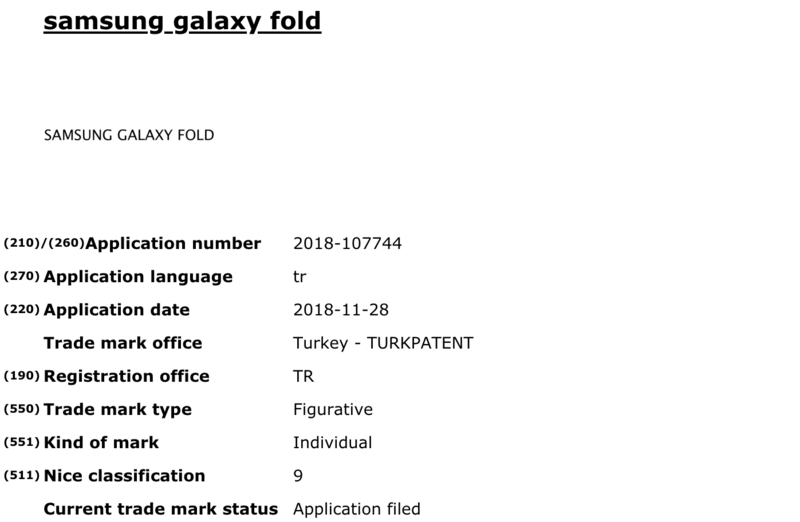 The company is looking to protect the “Samsung Galaxy Fold” moniker. The description mentions that it may be used for a variety of products including smartphones. It’s not a confirmation, though, that this is what Samsung’s foldable smartphone is going to be called. Samsung could just be covering its bases here, protecting monikers that it may find some use for in the future. Nevertheless, it would make sense if the company decides to call this device the Galaxy Fold. Samsung hasn’t revealed the foldable smartphone as yet. It only offered a glimpse of the foldable display at SDC 2018 earlier this month. We may not see it in the flesh until March if some reports are believed. The company does have a lot riding on the foldable smartphone. Samsung has confirmed that it won’t be a niche device as it will be released globally next year. The company will reportedly be producing around one million units initially. It may ramp up production if there’s enough demand. It’s expected to cost a pretty penny, though, some estimates put the price tag around $2,500. All of that is just speculation right now, though. 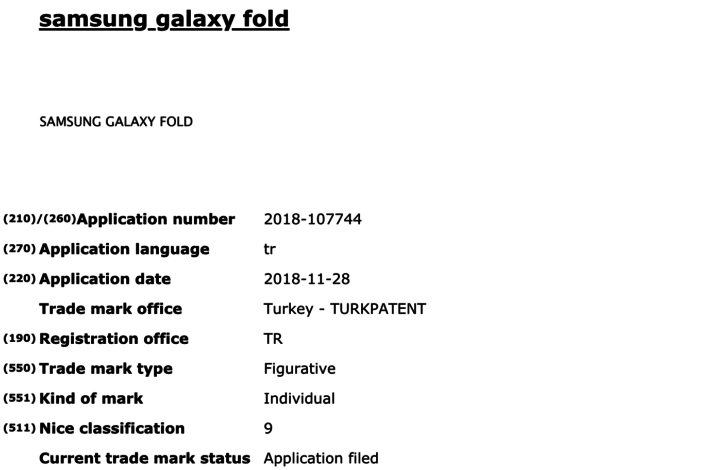 Samsung hasn’t confirmed any details about the foldable phone as yet. We will have to wait until the coming year for all of the official information. That’s also when it will become clear whether or not this device is going to be called the Galaxy Fold.